Thanks for making Solarize Snoqualmie a success! We launched our eleventh campaign, Solarize Snoqulamie, in July 2015, with our partner City of Snoqualmie and installer partner, NW Wind & Solar. Residents from around the Snoqualmie Valley came out to 5 workshops, and the buzz earned some great publicity in the SnoValley Star and Snoqualmie Valley Record. 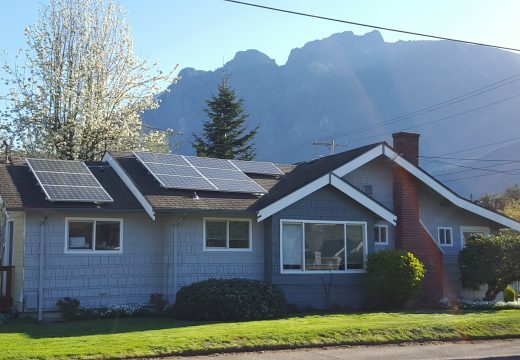 Solarized: 44 Snoqualmie Valley homes for 302 kilowatts of solar! NW Wind & Solar donated a 4kW system which was installed on Snoqualmie Elementary School for reaching our goal of 40 installations! The donation provides free clean energy to the school and helps students learn about our clean energy future. Solarize Snoqualmie workshops are free and open to the public. The Solarize group purchase price is extended to residents of the City of Snoqulamie, and residents outside the city limits may be included at the discretion of the solar contractor. 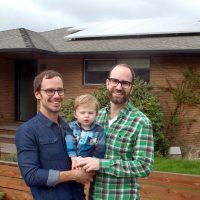 NW Wind & Solar was selected by your neighbors through a competitive process to serve Solarize Snoqualmie customers. Learn more about the company on their website, and come to a workshop to meet representatives and ask your questions! We've completed 302 of 180 kilowatts!